Today I welcome author Misha Gerrick! Thanks so much for having me over, Alex! My books break a lot of YA Epic Fantasy “rules”, so after a bad review from someone who didn’t get the book, I’m telling everyone which rules I broke. This way can decide whether you’ll take a chance on the series or not after I warned you/told you why this series is uniquely awesome. Reason One: My book starts with a dream. Pretty much because everyone kept saying “DON’T START BOOKS WITH DREAMS.” Actually that’s not true. Callan’s dreams are actually vitally important. Reason Two: You read that right. Dreams. As in plural. Reason Three: You know how the chosen one or high king never seems to be a girl? I have five guys and one girl telling the story, but the girl tells more than half of it for two books. Reason Four: There is no chosen one. Reason Five: My main characters are teenagers in some highly stressful situations. They neither speak nor act like they’re in church. Reason Seven: And turned most of them on their heads. Reason Eight: The story-line in The Vanished Knight might not feel quite as epic as you might be used to, and the things that tie everything together are very subtle. Reason Nine: The Vanished Knight ends on a HUGE cliffhanger. Some might argue it makes you have to buy The Heir’s Choice. Which is why I was nice enough to publish the two simultaneously. Reason Ten: I worked under the assumption that Young Adult Epic Fantasy readers are smart enough to keep up with the story, which has (without my intending it) been compared to Game of Thrones by three quarters of my beta readers. Bonus Reason: I’m not sorry about any of it. I had the honor of reading this first book before its release and I promise you, Robyn does not disappoint, both with her humor and her raw honesty. Though offered a contract on her first attempt at publication, this rogue new author decided to do it her way. She’s 4 feet, 8 inches of heartfelt ferocity, and nothing can stop this post-pubescent spitfire from claiming her fairytale—not jarring tragedy, not penile incompetence, not even the explosive demise of a new marriage. Not until Robyn finds her happily ever after…alone. Liz at Laws of Gravity posted a link to a perception test online. I’m not the most perceptive person in the world, so I was stunned when I scored Flawless Perception! Try it yourself HERE. After strange things start happening in the house, Dulce’s husband is killed and her son taken by supernatural forces. Imprisoned for the crime, she returns to the house many years later and strange things begin again. From Venezuela, this film was four and a half stars on NetFlix (stunning since NetFlix reviewers are harsh), so I gave it a shot. And I was impressed! This film is a blend of horror, drama, science fiction, and mystery. Told in flashbacks between the two timelines, we see the mystery both unfold and deepen as connections are made to the house and the family. It’s an atmospheric piece with unnerving horror elements as opposed to shocking ones. I can’t say too much without revealing the story. But I thought this was an excellent film and truly unique. If you’re looking for a film with atmosphere, intrigue, and light on horror, rent it. Hosted by Damyanti, and Dan Antion, Paul Ruddock, Peter Nena, and Sharukh Bamboat. My most cherished in this world is my Lord and Savior. Next most cherished is my wife. She’s my best friend, a great supporter, and keeps me very happy. After that, I will go with an item. Several in fact – my guitar collection. I own several high-end guitars and they are a joy to play. I’m blessed I had the opportunity to learn guitar and can now play in a Christian band. What do you think about breaking all those fantasy rules? Picking up any of the cool new releases? Have you seen The House at the End of Time? And what is your most cherished thing? As are the book and film reviews. I agree with you wholeheartedly about Woman on the Verge. I guzzled it. Raw, funny, real. And Misha Gerricks' books look really good too. More temptation. Most cherished items? Love and laughter. Ms Misha is interesting in her determination.And YA is a good one to get into. There will always be a YA group anytime at all. If she spiced it with lots of humor it'll be a sure winner. Wishing her the best! Great books all, and I love that Misha broke the rules, I do and did and couldn't write if I HAD to follow the rules! Sounds like a great review, but to spooky for me. Misha, I've always had a tendency to be a bit of a rule-breaker and I can appreciate it when someone breaks rules with finesse and does it successfully. Who makes those writing rules anyway? I think it's great that Misha broke some rules. Sometimes that's what makes a book good. Hope you had a good vacation, Alex. I cherish my daughter most. It sounds like Misha turned the rules on its head, which should make for a fun read! I was wondering how harshly Netflix viewers were. I pulled up some reviews last night for "Scandal", since I'd heard interesting things about the series. Wow. The bad reviews were vicious! Congrats to Misha and everyone with new books this week! There's always going to be people who don't get an author's intentions! Misha's series sounds very interesting. Can't wait to read Robyn's book. Thanks for mentioning my book, Alex. I love it that Misha is taking tropes and turning them on their heads! Congrats to Misha and everyone releasing books today. I've not heard of The House at the End of Time. Must check it out now! My most cherished thing is my son and the fact he's actually sleeping in this morning. :) Have a great week! Way to go, Misha! I'm not much for supernatural horror movies, but I might give House a shot. Have you checked out Super Fast on Netflix? Super dumb, but it has its moments. Happy to 'meet' Misha! And Robyn's book cover turned out amazing! I'm putting House at the End of Time on my list. Thanks! We love breaking rules in writing. And we love Misha. So great combo of the two today. Eager to check out her book. It's upcoming on our ever-growing reading list. 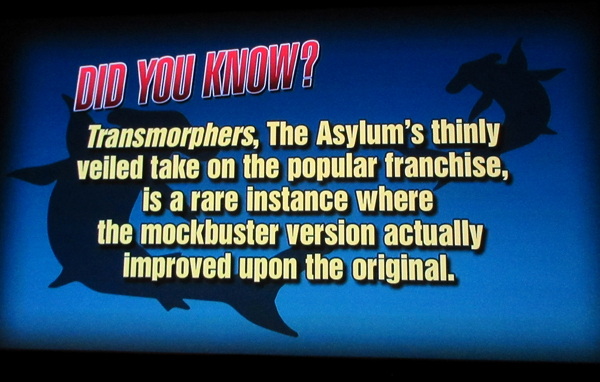 Also, those Rifftrax slides are fantastic. Poor Linus. And he was just 24 hours from retiring from the police force. What a compliment to be compared to Game of Thrones. Misha's book looks great. I'm curious about Robyn's and will add it to my wish list. 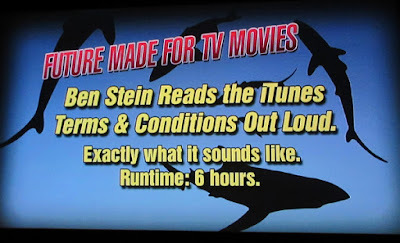 Love the Rifftrax slides - thanks for those :) Rules in fantasy are meant to be broken. And Congrats to Robyn - it does sound really interesting! Lee, grammar Nazis make them. Elizabeth, it's rare to see a movie with good reviews on NetFlix. Christine, time to get some work done. Brandon and Bryan, Linus never catches a break. great post from Misha! I'm all about breaking rules as long as it's done well. If everyone followed them all the time no one would ever be surprised! Go, Misha. Glad to share the spotlight with another rule-breaker. Congratultions! Good for Misha breaking the rules! When they're done on purpose and they're done well, then to heck with the people who don't get it. I come here for the power of inspiration and I find Misha, Robyn, Melissa and Patricia. You guys have it totally worked out. To blazes with the rule book! Who needs rules? I think Dr McCoy would definitely approve. Thanks for the introduction to Misha and her writing. Wishing much success to her and all the others with new releases. 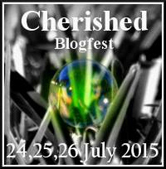 Enjoyed the Cherished Blogfest. I think breaking the rules is essential, and as long as you do it right, very exciting. Here's to Misha! That movie sounds like one to see. Quite a blend of genres and all scary. I'm a believer in breaking rules, and I also know that Misha's books rock. The House at the End of Time sounds pretty awesome. Thanks for the recommendation. I like your choices on the bloghop, too. Misha's books sound great! Thanks for the RiffTrax images! They always give me a good laugh. I watched Antman over the weekend, and was reminded of your review. Your post is so full of info, I'm bookmarking it to read again later. Thankyou for participating in the Cherished Blogfest :). Misha's books sound interesting to me and I think it's a great idea to let readers know which rules she broke, especially the one about dreams at the beginning. I don't usually like "surprise" dreams, because they make me feel like everything I just read was a waste of time because it wasn't real in terms of the story line. Woman on the Verge of Paradise sounds like a winner too. Plus The House at the End Of Time. Glad I stopped by today for all this awesomeness! I think a lot of 'rules' are being broken and writers are proving they shouldn't have been rules in the first place. I cherish my family every day and worry about them too. Ben Stein reading that would be an easy way to fall asleep. Hey, Misha. So good to see you. Breaking the rules is my favorite thing to do. :-) I enjoyed reading your post. Robyn (love your name), your book sounds great. Can't wait to read it. Alex, I'm with you. The Messiah is my most cherished. After that, my hubby and family. I must see that movie The House at the End of Time. Sounds awesome. Go Misha. Some rules are made to be broken. And sometimes you have to write your book your way. As I've learned, there will be readers who get the story and some who won't, even with the warnings. Congrats to those releasing new publications. Wishing the best in sales and fan fun time. Thanks for giving my series a shout out, Alex. You're awesome, and I'm pretty sure I don't need to say it, but I will the favor will be returned any time you need it. I think hubby would say his one guitar is a cherish item too. He babies it a little. Never bothered me to see a book start with a dream. I like it personally. I don't want to be mislead about stuff too long, but dreams can do some neat stuff for a story, especially if the story is largely realistically told. I learn so much when I visit. Glad you enjoyed my post, Yvonne. Hank, there is a bit of humor, but the series is a bit more on a serious vein. Lee, I wonder the same thing. Elizabeth, I indeed had a ton of fun with turning rules on their head. Julie, that's true. And it's definitely a thing I keep in mind, because sometimes I feel I have to go with my intention even when I think people might not get it. So when they don't I don't blame them. Cathrina, reading would be boring if writers didn't bend rules at least a little. Nice to meet you too, Palmtrees. Yeah Medeia, it's high praise indeed. Although honestly, I think my series is only similar in that there's a lot going on. Dr McCoy's approval's awesome, Spacerguy. C. Lee, I agree. It must be done right. Pat that's true. Maybe I was influenced by my five. Chrys, I refrain from things that would make my own eyes roll if I encountered it in someone else's writing, so the "It was all a dream" ending will probably never feature in my stories. I agree Melissa. All of the dreams or sequences that don't take place in the present are in italics, or things would be really confusing. Charles, same here. It's not the dream thing that bothers me as much as people using them for no purpose other than to "create interest and excitement" that's not inherent to the story itself. Lots of good sounding books - I have read and thoroughly enjoyed Precious Atonement. Like the sound of The Heir's Choice. As for things that are precious to me, I read someone's choice the other day and now yours. For me what is precious is life, the earth which is our home and the many and diverse creatures on it. I said animals originally but the creatures of the seas are part of the whole. Lee, I highly recommend it. Holy Ghost, yes it would! Patricia, you're welcome! And your husband rocks. Misha, Emily Dickinson broke all the rules of poetry and lives on while her critics are forgotten. Follow your instincts. Robyn is a rare writer that can tug at your heart one moment and tickle your funnybone the next -- she is a wonderful writer. Congrats on breaking the rules in writing...why are there rules? Rules are made to be broken anyway. Congrats to Robyn-well deserved!! I have not seen this film and this film sounds more up my alley than one that likes to shock. My cherished item? I have many and will pick "things"-my mom's eggs-OK that sounds weird but she created beautiful Faberge styled eggs which she can no longer do (or even remember). 2 little pigs my ex made when he was in grade school-they are so sweet. My first film book my brother got for me. My mom's ancestry records, Pictures-they can never be replaced. Sometimes breaking the rules is the right thing to do. Misha you're a rebel for breaking all those rules. The Matrix starts with a dream so what do they know. Alex you are indeed blessed with a wonderful woman. Why not break the long-held-writing-rules? It sounds like an excellent idea. My most cherished are my husband and our marriage. Congratulations, Misha! Don't let those bad reviews get you down. Your book is great. And Alex, I have to make time to see some of the Riff Trax. They sound so fun. I'm all for rule breaking. I felt like applauding at Reason Five (my characters swear all the time because hey, they're teenagers!). I'm ok with dream sequences in fantasy books because they usually serve a purpose. Sometimes rules are meant to be broken, so long as they're broken for the right reasons and done well. So many new writer these days seem so hung up on following someone else's rules and trying to shame other writers who don't follow these arbitrary rules. If it works for that particular book, there shouldn't be any argument. I think any time you can break the norm of a core set of rules and still maintain the genre, it's a good thing. Otherwise it's the same as everything else out there. 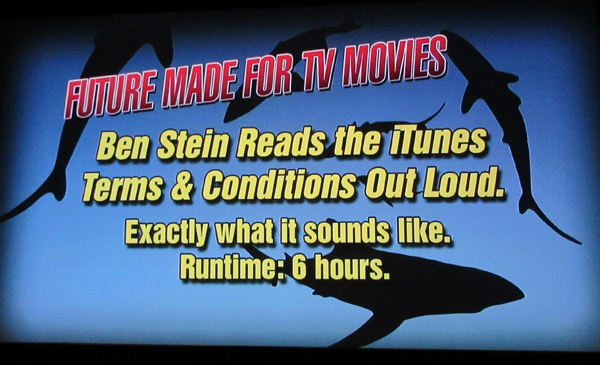 Also, thanks for the additional RiffTrax. Always appreciated. my most cherished thing is my dear husband ( I KNOW he isn't a thing...but oh well! ) and also my super powers enabling me to "bore deer" !!! You made me laugh out loud Alex! Thanks for the comment! Birgit, those all carry special memories for you. Michael, go! next one is in October. Jeffrey, I can post more! Kathe, I am here to amuse! Wishing you all the best, Misha. No one knows your story like you do or can tell it better. So if you need to break a few rules....yay, you. Rules are there to teach the novice what to do. And what not to do. Once you're no longer a novice, the rules are more like guidelines. Some people like their stories to follow the usual conventions. I'm not one of those people. If the movie is light on horror, then I'm interested. I like a good atmospheric story, and suspense is good. Thanks for the shout out. That quiz was interesting, wasn't it? Misha you're such a rebel. I thought the elements she mentioned are awesome. I hope it does well. The House at the End of Time is an amazing title, and I really want to see it. Congrats to Robyn and the other author mentioned today. I love Misha's rule breaking. I think dreams can be a great device in stories. My most precious thing is Jesus Christ and his love. 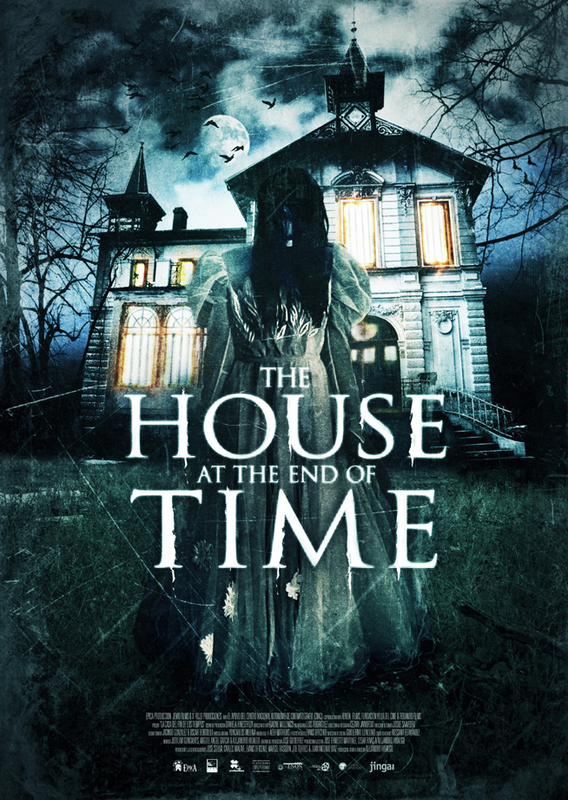 What a great house on the cover of The House at the End of Time. Makes me want to see the movie. Dreams are one of my favorite story devices! Aw, Roland. Thank you, sweet man. Robyn, it's always great to meet another Robin/Robyn who spells our name correctly! Thank you. I'll look into the House. I do tend to have a thing for them. Good for Misha! Don't feel sorry about breaking those rules! I can't stand teenagers that are always perfect no matter the situation. Mischa - you GO girl, break those rules. It's the person who can't change or is unwilling to accept change that has the problem. I was actually rather disappointed by a book recently (a freebie from Amazon), but I'm not arrogant enough to think the problem lies with the book and not my expectations or preferences. I find that as long as you have learned the rules, then you are free to break them. Congrats, Misha! 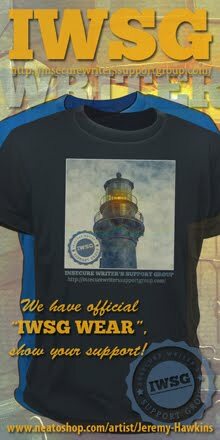 Thanks for all the support around here. How exciting to see you promoting Robyn's book. I've followed her for years and I'm glad to see her book launched. Misha, congratulations on your book. As authors, we can't please evveryone. We can only pat ourselves on the back and tell ourselves we'd done our best. I read lots of really good books that break rules. Didn't The Hunger Games start off with Katniss waking up...from a dream? Interesting new releases. I've bought a few books to read this summer and some I have found here. Why can't rules be broken sometimes it is that broken rule that makes it work. I say break the rules! I will check out Robyn's book. Have a great week Alex...why not jam on one of those guitars..let it rip.. Breaking the rules is easy (which is why so many do so.) But breaking them artfully, skillfully, and successfully is a talent to be admired, and shows a true understanding of the rules in the first place. Sounds like Misha's got it nailed. The House at the End of Time sounds intriguing. I'll have to check it out! I love it when people break the rules in art. I especially love it when they acknowledge that there are rules to break. It's nice to hear from Misha. Thanks for all the news. Have a great week! Misha should be able to break all the rules--it certainly sounds like she knows what she's doing and she's writing the story she wants to tell. Good for her and for Robyn's unique-sounding novel, too. Since I'm a sucker for good ghost stories, I'll check out the House at the End of Time. Thanks for these great reviews, Alex. Good luck to both writers. I am winding up a three weeks visit from friends so I've just had the time to read your blog piece you posted today and would like to say that I am very impressed, Alex. I like the way you have it designed. Now about the your posting: Misha, all the best with your books. I read your reasons and said, 'right on' because I like how you addressed the issues. I've added two of your books to my library and will read them, just don't know when. All the best to the rest of the authors presented in the post also. I will definitely look at Melissa's book because I love Historical Romance and the name of Patricia Lynne's book, Gabriel, has made me curious, so I'll look at that also. I agree Birgit. And honestly, I had a blast with breaking those rules. Susan, I think my story would have been rather boring if I hadn't broken those rules. Carrie-Anne, I agree with you. It's important to strike a balance. Breaking all the rules at the same time would probably result in a mess of a book. Jeffrey, that's absolutely what I tried to do. I wanted to pay homage to books I read and loved, but in a way that couldn't be construed as copying them. Liz, I love the way you think of rules. Totally agree with you. Thanks Cindy! I hope so too. Annalisa, they can be, if used right. J.E. neither can I. Perfect characters are BORING. Cynthia, that's true. The important thing to me was that I'm pleased with the books. Now I can only hope other people like them too. Truedessa, so true. I think the interesting things happen when we color outside the lines. Michael, the way I see it, if I didn't acknowledge those rules, I couldn't purposefully break them. And if I couldn't purposefully break them, I couldn't be consistent. And if I couldn't be consistent, my books would be a mess. Helena, it took a lot of tries and failures to make everything work, but I'm happy that I succeeded. Congrats to Robyn, she's like a ball of fire! Congrats Melissa and Patricia Lynne! I think it's great that Misha breaks the rules. None of us can re-invent the wheel, but we can change things up to make it feel fresh. Congrats and best of luck. In case you like to read similar books you should stick to authors who follow the rules. In case you like to read something unexpected you should look for authors who do not stick to the rules. Glad I made your cherished list :) As for the rules, I was always told they were made to be broken. I look forward to reading Robyn's book. My most cherished thing would be my family and friend. Liz, it was an interesting quiz. And the movie is very light on the horror. Stephen, now she has two books, which is just awesome. Truedessa, I can jam some guitars, all right! Helena, it's a great movie. Rhonda, of course you did! I have to wonder if the critical reviewers of Misha's work were "readers" or "bloggers" and "writers." Because those that think they know the RULES are the usually the only ones aware of them. Most readers just want a good story and don't really care if it starts with a dream ... or whatever. Thanks for that Netflix movie tip, Alex. I'll have to check it out! Kudos to you for breaking so many rules, Misha! We'd be forever stuck in same old, same old if nobody dared break the rules! I say, know the rules so you can break them, Misha! Write the story you want to write. It's all about story anyway. I love your Cherished list, Alex. Mine would be the same but of course I'd add my daughter, pups, family, friends. And books! And...so much more. I'm all for breaking the rules, Misha! That's what is so wonderful about the time we are living in. Create people can create and get their work out into the world on their own terms. Good luck with your book! I wish I had your solid faith, Alex! You share your beliefs without being overbearing or telling others how they should live. I haven't abandoned Christianity, but it's been difficult to call myself a Christian in recent years because of the hate and bigotry of so many "Christians." I'm glad you get to play your beloved guitars in a Christian band. Rock on! T.B. I'm all for changing things up. edi I agree with you there. EE that's the way I see it too. I agree Gwen. It's important to know the rules so that we know when to break them and when to use them to our advantage. 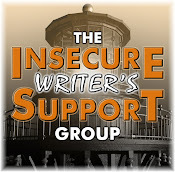 Fundy, it is nice to know I never have to worry about some gatekeeper while I'm writing. If I might be so bold as to insert my two cents about "Christianity": I'm Christian because I have a relationship with God. You could call me anything else because the relationship is more important to me than how I look to people around me. I think a lot of problems we're seeing with "Christians" not acting Christian is the fact that people are more concerned with how they look to other Christians or "Christians" instead of focusing on building a positive relationship with God. Which is sad, because that relationship is what it should all be about. Patricia I agree with you. Breaking rules on purpose is art. Breaking rules by accident is just sloppy. I love reason #4, Misha. 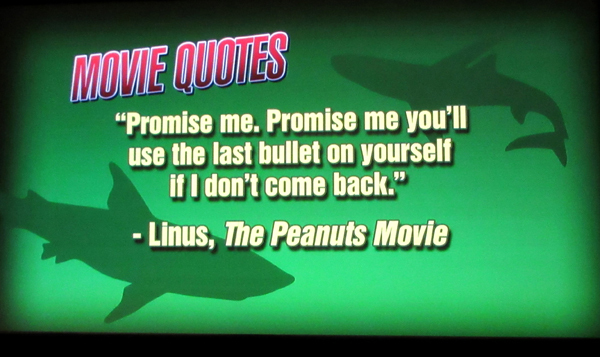 I'd love to know who Linus is talking to in that one frame. I'll have to check out Robyn's book. She has a great sense of humor! Misha's tweet brought me here again! Oh My what a change! Good to see Misha on your wonderful space! The 10 reasons she brought out here is indeed amazing! Misha, way to use those tropes! I like a good trope, especially when it's on its head. Hi, Alex! I'll be skipping Sharknado 3. I'm more of a Shark Week girl. Really enjoyed it this year! I feel like breaking those fantasy rules are what is drawing me in! I write my high fantasy with the same things in mind. Tropes = nopes. Fundy, thank you. People mess up, but fortunately God doesn't. Alexia, glad you didn't strangle him in Seattle. Misha's books sound intriguing. I have no problem with writing rules being broken if that's what works in the story. Congrats to all the new releases! I think The House at the End of Time is a little too creepy for me. 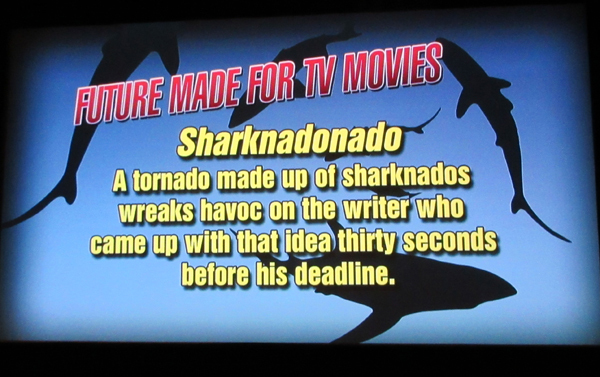 The RiffTrax shots made me laugh. My most cherished things: God's love, my family, and my stories. Sounds like several intriguing books here! Look at you, checking out a movie from Venezuela! I like the heroine's name--how sweet. Hope you are well, Alex. Apologies for what I'm sure is my notable absence, I state, ever so humbly. Nice to see the lovely Misha featured as the guest writer. Must go and check what the heck "YA" means. Writers and their acronyms! Sheesh! I also delighted to note the adorable Robyn and her release. Okay, the release of her first book. Huge kudos to Robyn! Thanks for all the other notations, Alex. Your site is like an online magazine. Sorry, but not another Blogfest! My most cherished ideal is that one day we will realise an all different all equal world that celebrates such diversity. The House at the End of Time just looks way too creepy for me. I don't do any horror well, lol. The author not being sorry for broken rule writing seems a good enough reason to read her/him! Liked your list too, that top slots go to things that are not 'things'. Both Atonement and Gabriel sound like great reads. I think Misha is the perfect person to go against the rules. She has an amazing attitude and writing style. Thank you for sharing some new releases with us Alex. I like being in the know about who published what and what is going on. Have a great week. Thanks for more awesome quotes, Alex! I always look forward to your movie reviews, Alex. (Because I know I can trust them.) Now I've got a new movie for my hubby and I to see. Yay! I love rule breakers. I've added both books to my Goodreads list! Those Rifftrax. LOL!!! Sharknadonado HA!! Oh I love Robyn. Been following her blog. She's hilarious. Nice to see Misha on your blog. My most cherished thing is right now broken! I think it's excellent to see a celebration of breaking the "rules". I put that in quotes because they're not rules, they're just stereotypes and expectations, and I think as writers it's our job to break out of those things when the story we want to write doesn't fit within them. I love how Misha is not worried about breaking the rules - good for her!! I'm all about breaking rules, so long as it's done well. And having read some of Misha's work, I know she does do it well. 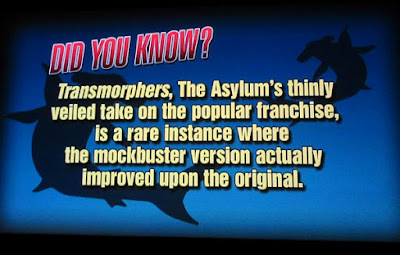 Those are some facepalm worthy Rifftrax slides! Good cherished items, Alex. I like your list. I say break ALL the rules! My most cherished possession would probably be my MacBook Pro. It's how I make money, how I interact with all you guys, and most of the time it's how I watch TV! Thank you, Gary and Lux. I love you both too! Misha wrote a great book. I was fortunate enough to read the whole series several years back. Break a pen, Misha! Congrats to the other authors with new releases. The best things in life are those we can't buy - family and friends. I love it when writers break rules. The only rule of writing is to break them. Go Misha! Sounds an amazing series. I just bought Robyn's book. I can't wait until it gets here and I can start reading. Gary, you are always missed. Mary - break a pen. Awesome! Al, you will enjoy it. Thanks Diane. Me too. Especially when chosen ones were everywhere. Breaking rules can be huge fun, Alexia. Madilyn, I know what you mean. All the ways in which my idea was different were what attracted me to the story. Lori, I agree. It's making those broken rules work for a story that's important. Thanks for supporting me, Deborah. I hope you enjoy them if/when you get to them. I think people are too strick on genre rules most of the time, but I must admit that even when I love a book, if it ends with a cliffhanger a 5 rating isn't possible. I just don't like that. Cliffhangers I love get 4s. 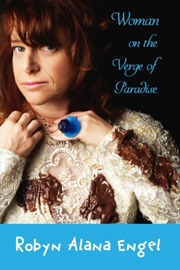 Nice review of Woman on the Verge of Paradise. I may have to check out The House at the End of Time after your recommendation. As far as my most cherished, I'm pretty close you with 1 and 2, but for 3 I'd have to say my writing. Congrats to all on their new releases.I'm always hopeful when I see blogging pals come out with books. It reminds me that I can do it, too. Alex; I love how your faith is right out there; it's who you are. It makes me proud to know you. I sure do love that Al Penwasser! I'm all for breaking genre rules when it works! :) Thanks for sharing! Awesome post from Misha. Aren't rules meant to be broken? Plus, I think breaking some rules keeps readers on their toes. Her books sound fascinating! Misha! Great post! Keep breaking the rules! Best of luck on all these new releases! I haven't seen that movie, but it doesn't sound all that bad. Mrs. Alex sounds like a great person! Maybe Mini-Alex needs to introduce your guitars to us! Good job breaking rules,Misha! Strategically breaking rules is,in my not-too-humble opinion, as important as knowing which rules to follow. If there was one way to do this whole publishing thing, then becoming an author would simply be a matter of completing a certain degree program or getting a writer's license. It's not. Congrats to all of those super talented women with their new releases! If everyone followed the rules, reading would be much less interesting. Misha's books are excellent! Several authors are quoted as saying Rules are made to be Broken. Among them: Orwell, Godard. It's all about storytelling. Good storytelling. Otherwise, what would we have. Alot of boring literary works. Now THAT'S the way to write 'epic' fantasy, Misha. Sounds like you're putting the epic-ness right back into it. I now MUST read your book(s). I haven't heard of that movie, and I'm always looking for good horror. Thanks for passing that along. Thanks Jess! So far, most people seem to enjoy the books. So true, Joylene. Everything would look the same if we all blindly follow those rules. thanks for joining the blogfest and sharing! Love your #Cherish things! That was a splendid blogfest! I was unaware that Rifftrax were the same crew of my beloved MST3K! When I was a rogue, touring violist, I had VHS tapes of several episodes of the show, starting with Joel Hodgeson and following with Mike Nelson. When the show went off the air, I was unaware that they continued on in another life-form. I've subscribed and listened to several of their "teasers" and they are still as fresh and funny as ever. Their wit is definitely esoteric and wide-ranging and the timing is impeccable. Thanks for letting me rave, Alex, and I saw a brief review for the new Fantastic Four movie in which it was stated the 4th Time is NOT the charm! Oh Dear! Maybe the 5th? Because that won't stop the film makers, unfortunately.